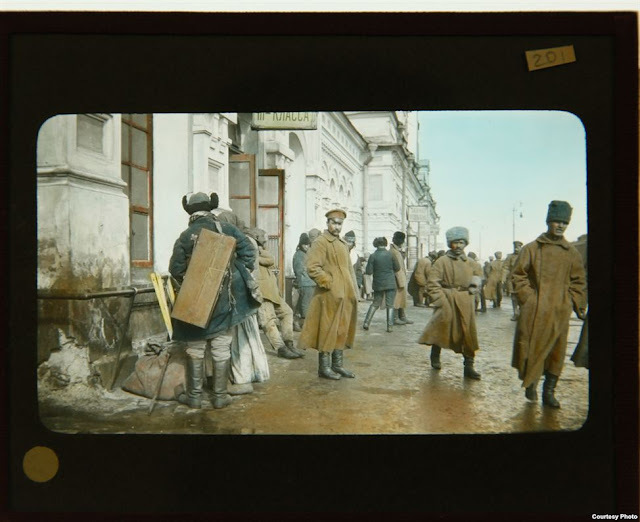 Russian-born photography aficionado Anton Orlov couldn't believe his luck when he was allowed to rummage through a number of old storage chests in the basement of a house in northern California in 2005. 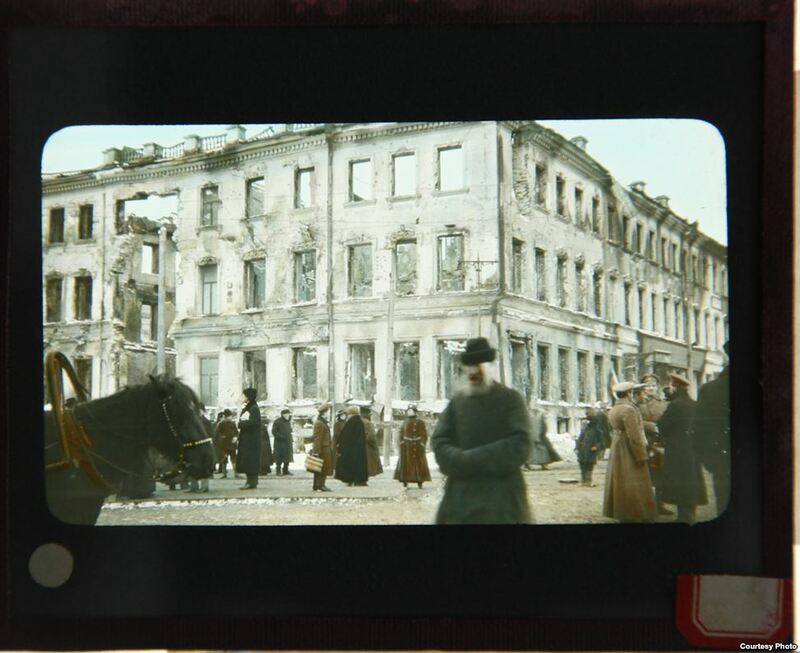 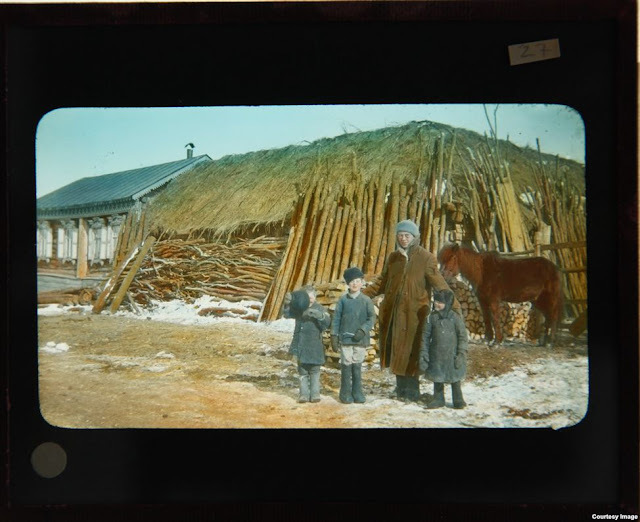 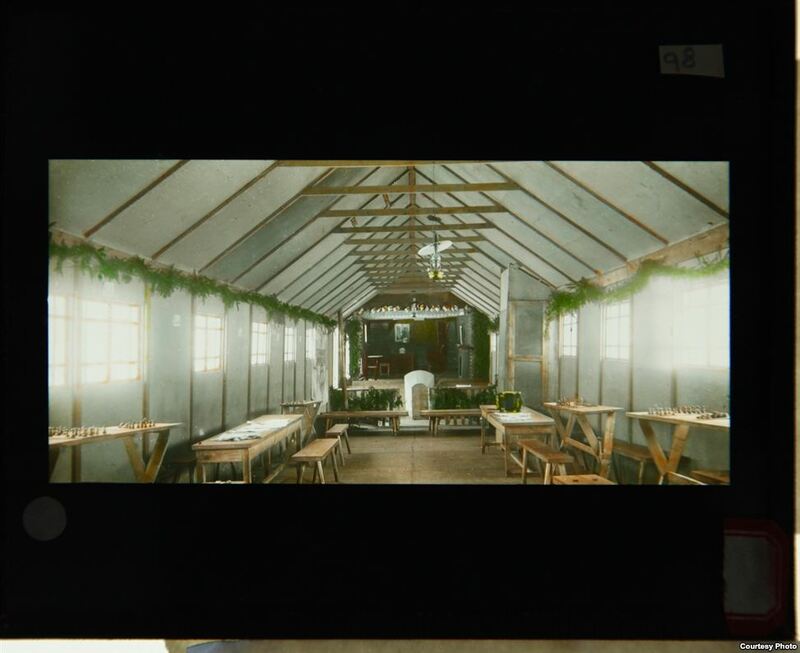 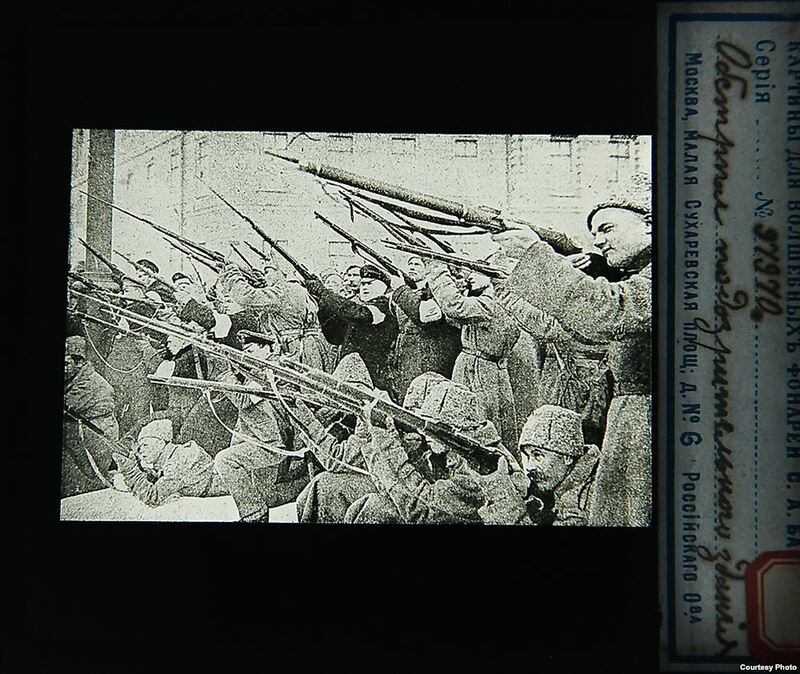 Inside, he found a treasure trove of hand-colored glass slides taken by an American pastor named John Wells Rahill during the Russian Revolution in 1917. There were also extraordinary slides from China and Japan in the mix, as well. 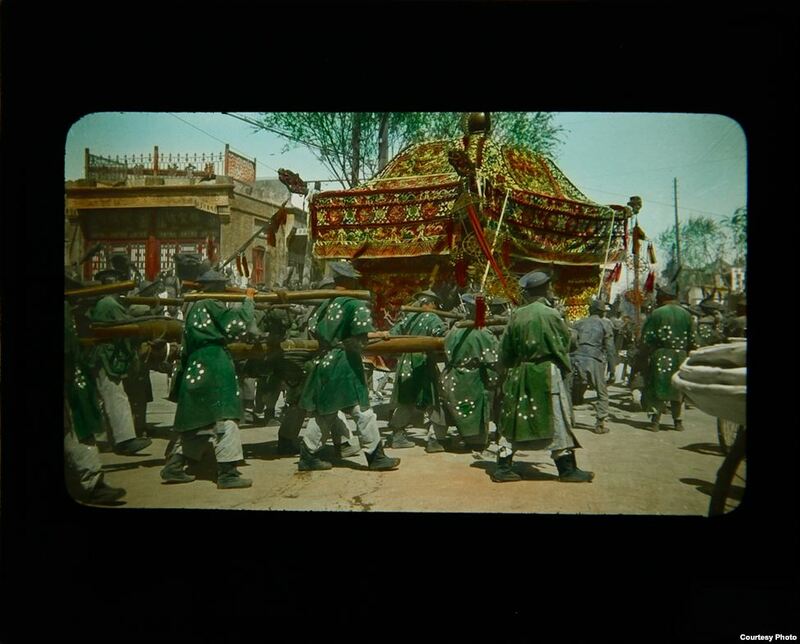 Here is a selection of those photographs. 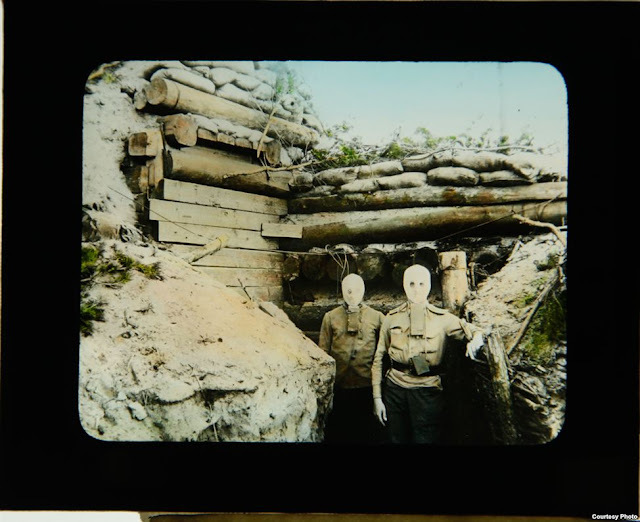 Soldiers wearing gas masks pose by a bunker. 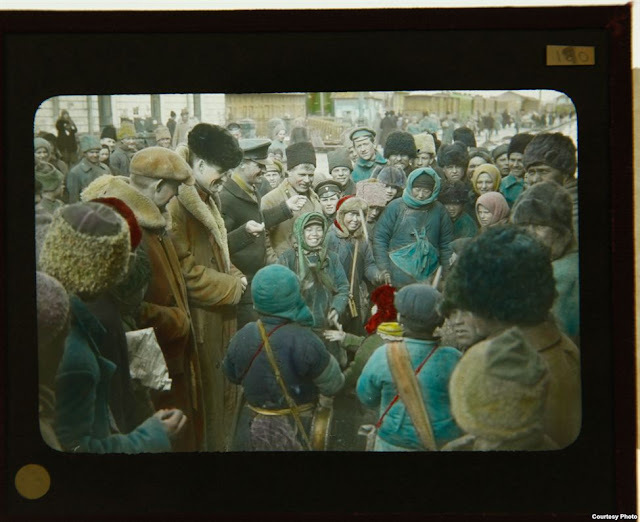 YMCA members entertain a crowd at a train station.